April saw the last call of the Ernest Shackleton. However, unlike other bases where this is the last shipping visit of the year, this heralds perhaps the busiest time of year for KEP station as the longline season for Patagonian toothfish starts on 1 May. 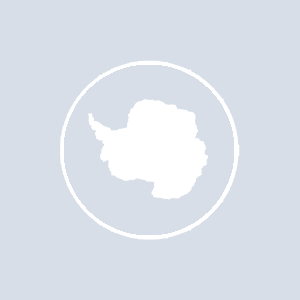 The station provides boating support for the marine officer so that he can inspect each vessel to ensure compliance with the CCAMLR (Committee for the Conservation of Antarctic Marine Living Resources) regulations. A scientist also goes on board every ship to talk with the biological observer. At certain times of the year the full moon rises over the Barf Peninsula just as the light is fading. Viewed from the deck of a fishing vessel at the end of an inspection it provides an amazing site. Oil Spill Response Limited visited King Edward Cove on the Seabulk Condor to remove fuel oil from the old seal catchers that still remain in front of the whaling museum. A difficult job was not helped by the thickness of the oil and the early snow falls. On Friday 26 April a simple ceremony was conducted in the church and then the cemetery at Grytviken to commemorate the 20 year anniversary of the liberation of South Georgia. Wreathes were laid at the war memorial and the grave of the Argentine sub-mariner Felix Artuso. The first heavy snow falls lead to the start of the ski season. Glacier Col was the first to retain the snow but the nursery slopes in and around Grytviken are now also full of snow. During one of these weekend ski trips to see the sooty chicks at Horse Head, one of last years elephant seals was found trapped in a stream, after falling through a thin snow bridge. Steve, Jude and Simon stamped the snow down in front of the seal to make a ramp for it to climb up. Then normal regulations had to be ignored and the seal was carefully shoved and pushed until it could get one of its flippers free and then scramble up the man-made ramp. Fortunately skis had been used to make a barricade to prevent the seal from heading straight forward and back into the stream further down. A very rare visitor graced us with its presence during May. A juvenile Emperor penguin came ashore on the point and slid its way through the base on its belly. At the end of May HMS Newcastle visited bringing in the new KEP boatman, also called Will. Will can be seen sporting a very patriotic attire for the Jubilee. More of this next month.